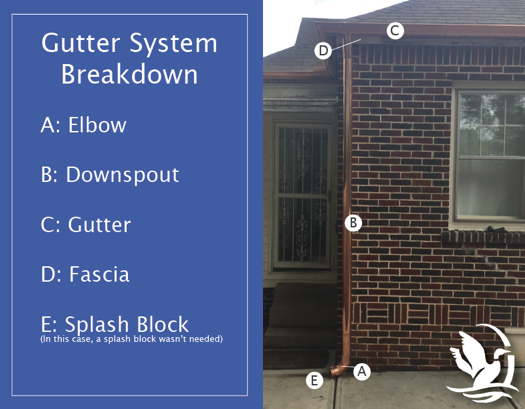 The downspout is an important part of the gutter system. It is the vertical attachment that transports rain water from the gutter, down and away from your home’s foundation. The water then goes into the splash block which funnels the water away from your home. The elbow to a gutter is similar in shape to the elbow in your arm when it’s bent. It allows for rain water to run seamlessly from the gutter to the downspout. Is a horizontal, straight board that runs along the lower edge of the roof. It is fixed directly to the lower ends of the roof trusses and rafters. Fasciatypically supports the lower edge of the tiles. In many cases, it holds the rain gutters as well. The fascia and soffit work to complement your rafters and provide energy efficiency for your home. Rain water flowing from your downspout is running much faster and in larger quantities than rain drops on your roof. A splash blockhelps to interrupt the speed and amount and flow at a slower and more controlled rate into your yard. It keeps the rain water from spitting out at the base of your home and deteriorating your foundation. 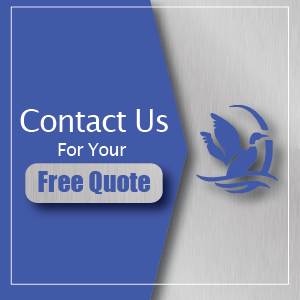 Would you like a free quote? Contact us or call at 678-773-3721. We look forward to working with you. Josh simply enjoys installing gutters. It allows him to work outside, start a new job every day and gives him the opportunity to work with neighbors in the Atlanta area. Josh goes on to say he loves every part of the job, but there are certain heights that are just too* high. He states, "Heights excite me; most of the time". When not at work, Josh enjoys going to the river near his home, hunting, fishing, and spending time with his family and friends. He has a chocolate lab, Remington, and a dachshund, Tucker. Josh is engaged to the love of his life, Amber. They are to be married in August 2018. If you are ready to start upgrading or replacing your gutter system, Contact the specialists at Duckworth Gutters or, give us a call at 678-773-3721. We are here to help. What is Fascia Board and why does it matter? We know when we need new or replaced gutters. 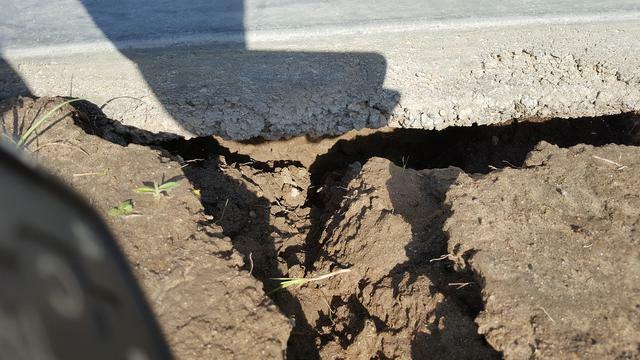 When it rains, it pours and your yard and foundation pay the price – not much hiding from you there. What you may not be aware of is the extent of damage to your fascia and soffit boards. What is it, why should I care? Fascia is part of your roofing system that is used to create a barrier between the outside and the edge of the roof. Fascia can typically be seen from the street level. The finished surface below the fascia and rafters is referred to as the soffit or eave. 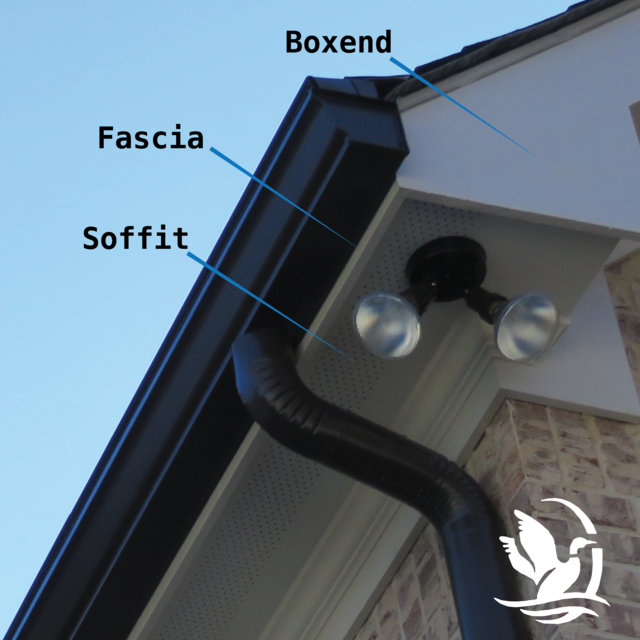 Fascia and soffit are typically made out of wood materials. This means they can rot. Now, what does that have to do with Gutters, you may as? Typically, gutters are mounted to your Fascia board. So, while you know you need new gutters, the surprise may come when they come off your home and beneath it is rotten fascia and/or soffit. When your fascia and/or soffit are rotten, they no longer provide a stable base for gutters. They also pose a risk for mold and mildew that can spread down the side of your home, and pose a risk for potential roof leaks. 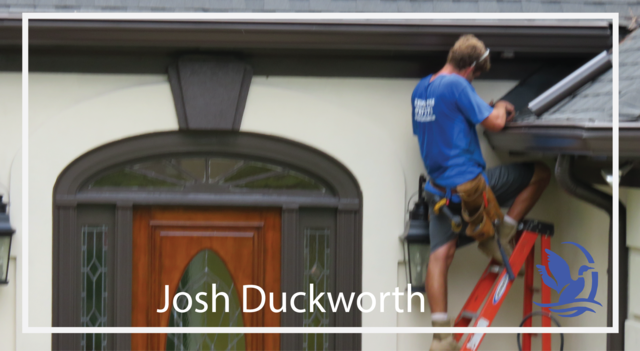 When Duckworth Gutters comes out for a gutter installation job, they come fully prepared to replace fascia and soffit where needed, thus ensuring a secure, job-well-done. It’s true, the average home owner doesn’t think, “YAY! I need new Gutters!”, when renovating or staying on top of home "up-keep". In fact, it can be very stressful. The truth is, it doesn't have to be! Duckworth Gutters can help fit it in that “Yay” category., at least where gutters and gutter covers are concerned. Not only can gutters can give a fresh new look to your home, but properly installed gutters can aid in extending the life of your roof and keep the condition of your foundation in top shape. How do you choose the right gutter for your home? There are differences in material, style, and color. For residential homes, good choices of material include Copper and Aluminum. Unlike the original use of steel gutters, copper and aluminum never rust. In addition to never rusting, choosing to include gutter covers with your full installment will keep your gutters clear and running “healthy” for life. Durability – Copper gutters will last the test of time in any climate – from subzero to blazing hot. They will never rust and will last for decades. Unique – copper gutters provide instant interest and appeal. It is important to note that copper gutters will form a coat of patina over time through oxidation but this adds a whole new rustic and vintage look to your home. Copper gutters are low maintenance – especially when installed with Leafree gutter covers. Seamless gutters are low maintenance. Gutters with joints are more prone to debris clogs. Leak Free – seamless gutters offer a leak free system with fasteners and joints only located in the corners and downspouts. Variety – everyone loves variety. Aluminum gutters come in a multitude of colors that are baked on so you never have to worry about paint chipping. Custom – all seamless gutters are made specifically for your home down to the inch. With professional installation, these gutters provide the best possible protection for your home from the many damages caused by water. If you are looking to install new gutters for your home, you’re in luck! 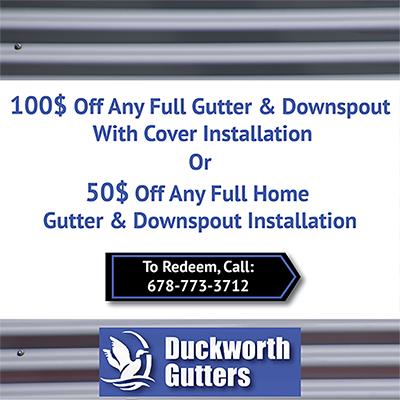 For the first time ever, Duckworth Gutters is offering a limited special offer for full gutter installations. See details below. If you are ready, give Scott at Duckworth Gutters a call at 678-773-3721.